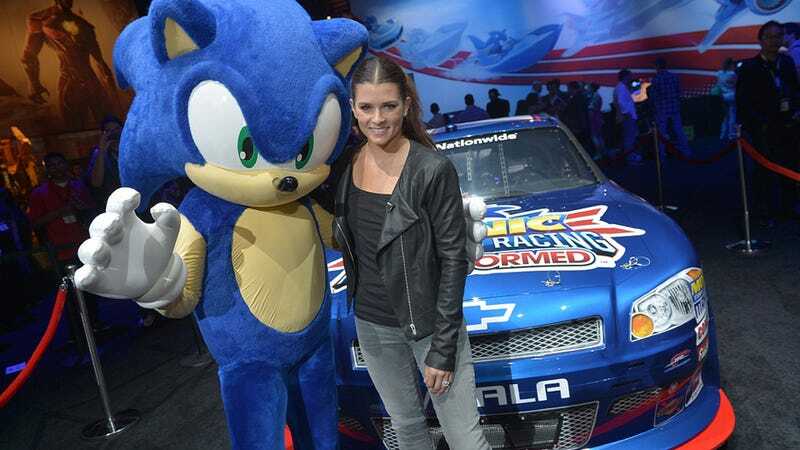 Danica Patrick will be a free playable character in the new Sonic racing game, Sonic & All-Stars Racing Transformed. Just when Robby Gordon takes the virtual world into real life, Danica jumps the other way through the wormhole. Even if Danica almost never makes it into the top ten in any of her races, she's still a big brand name. Maybe if she'd worked harder and finished better, she'd be racing Mario and not some blue hedgehog.